¡MAYDAY! 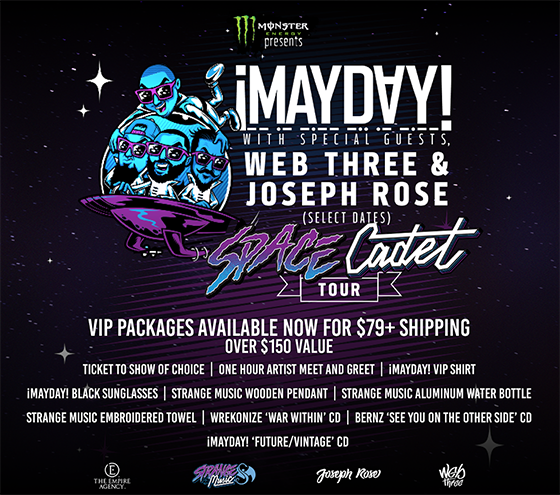 Space Cadet Tour – Tickets & VIP Packages Now Available! ¡MAYDAY! returns to the tour lifestyle for the Space Cadet Tour! Hitting the United States and Canada, ¡MAYDAY! makes a comeback on the road. Hitting more than 30 stops (and including more dates soon), the ¡MAYDAY! crew are coming in hot, especially with Bernz’s latest release, See You On The Other Side, locked and loaded. Do not miss out on this tour! THE ¡MAYDAY! 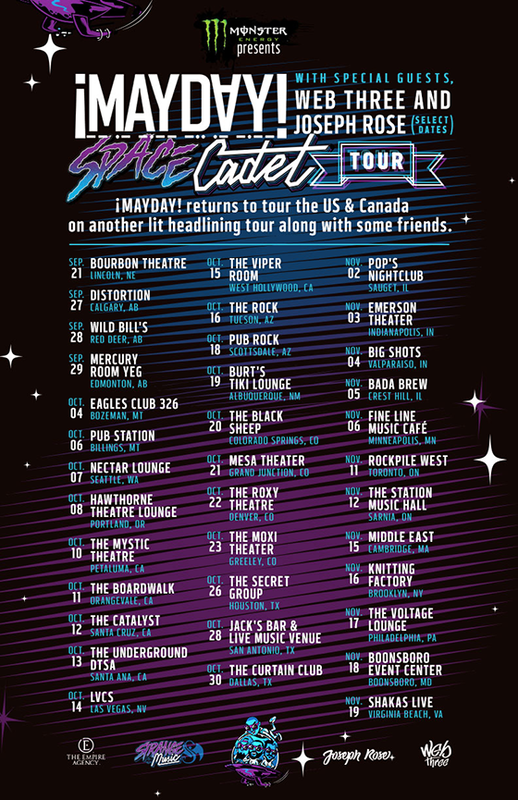 SPACE CADET TOUR!